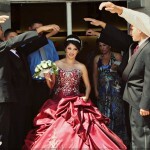 By the time you’re ready to plan your Quinceanera, you probably know at least a little bit about clothing. 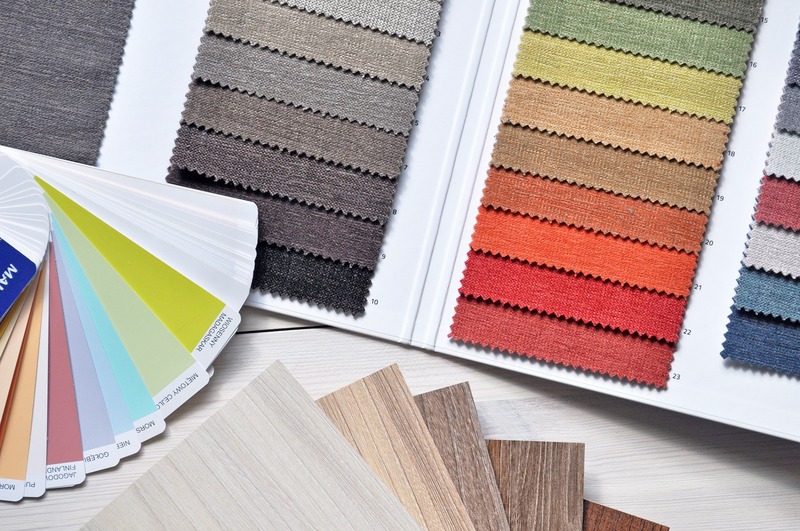 For sure you have a pretty good idea of what colors look good on you, and you might also have some opinions on the styles of formal gowns you’ve seen on the red carpet in magazines and on television. 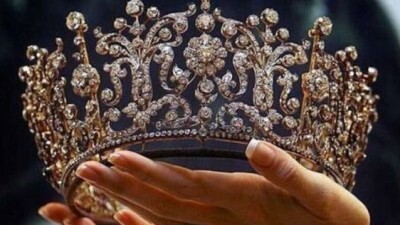 You might even have a favorite fairytale look from the movies. 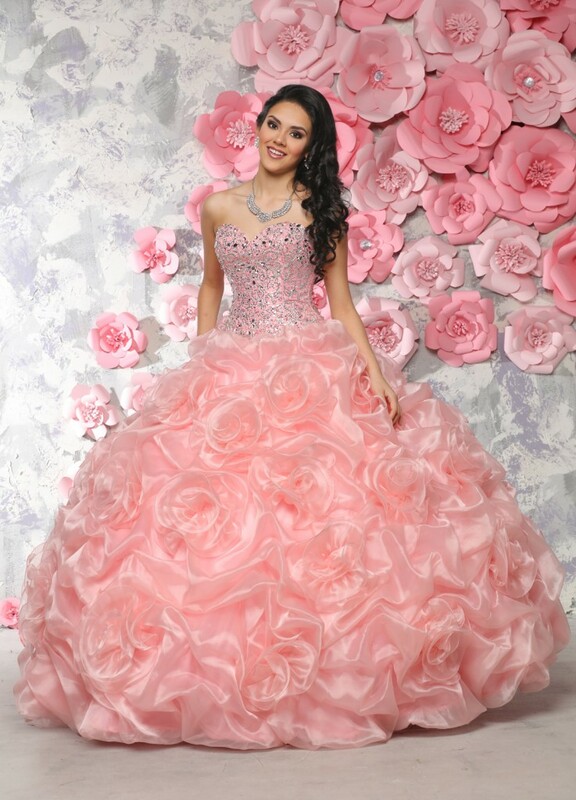 Now is the time to use that knowledge to choose the perfect dress to make you a red carpet celebrity on your fifteenth birthday! 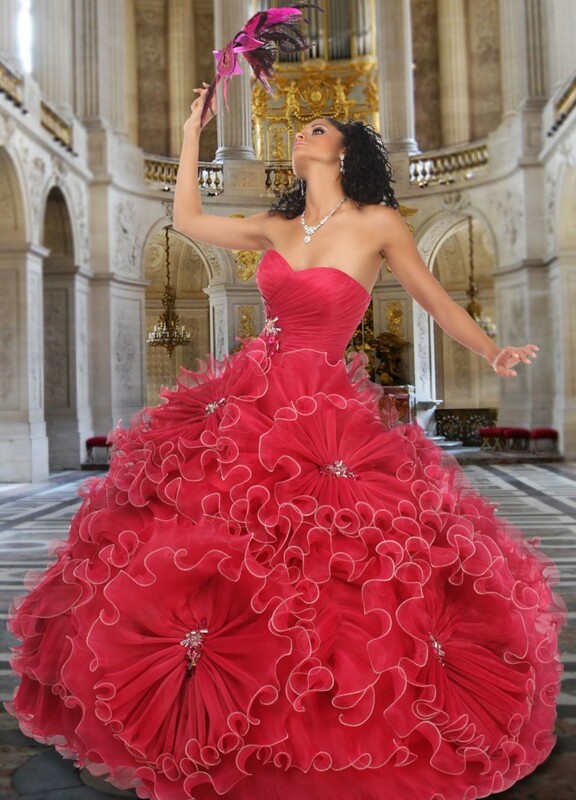 That perfect gown absolutely must be stylish, but believe it or not, it doesn’t have to be expensive. You just need to know what to look for. So in addition to the pins you probably already have, we’ve put together a guide to help you understand more about fabrics, skirt styles, and how to choose a Quinceanera dress that’s red carpet ready in design, but not so expensive that your dress will eat up your entire party budget. 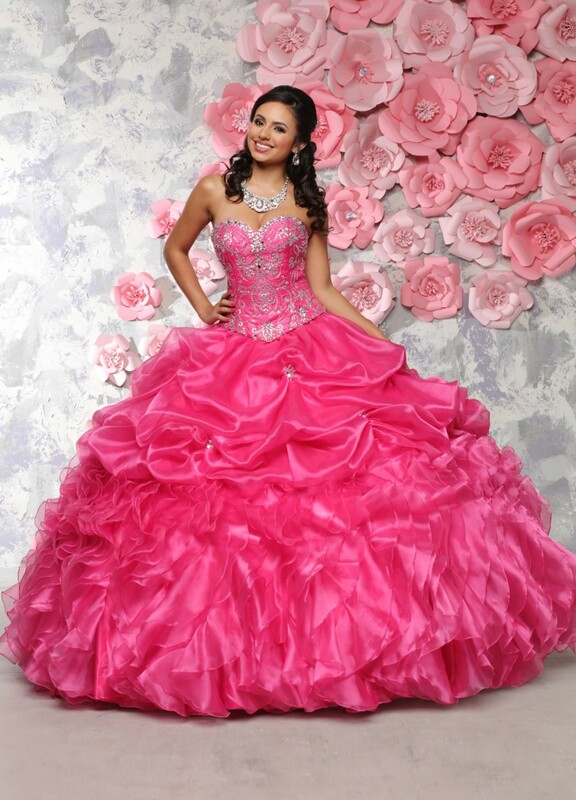 Once you know the look you want, you’ll for sure be able to find that Quinceanera dress at a price even your parents will love! If you want that princess-ballerina feel, choose tulle for your skirt. This amazing fabric is made of silk or nylon and sometimes rayon. For a more detailed design, add some lace appliques. The only downside with tulle is that it easily snags, so be extra careful if you plan to use this fabric. Lace has been a hot item in fashion for quite a few years. It’s often used as an overlay but like tulle, lace has a tendency to snag unless you choose just the right weave. There are several different types of lace—Chantilly, Venice, Embroidered, just to start—and some are sturdier than others, so ask your retailer for ideas. 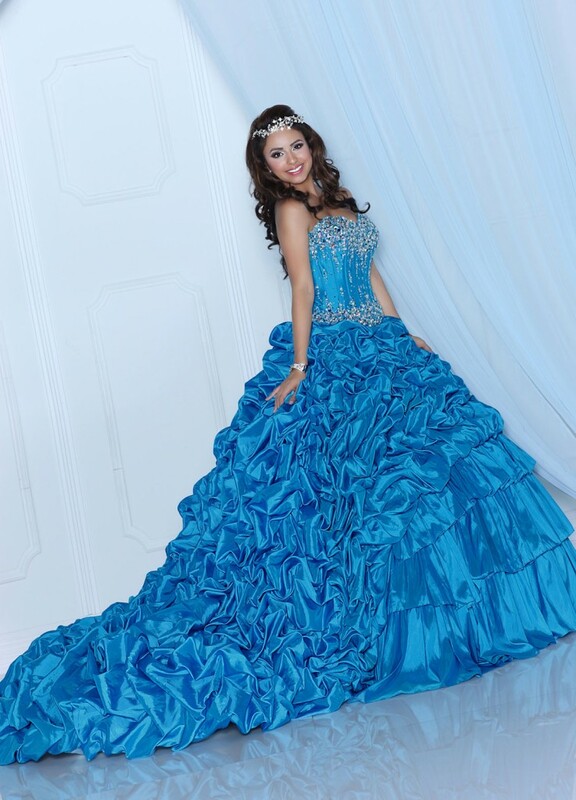 If you want to look both classic and trendy, choose lace for your Quinceanera dress. Organza is more structured than tulle, but it’s still lightweight and gives a lovely otherworldly feel. Crisp like chiffon, organza is made of sheer silk and is nicely lightweight, So if your Quince is scheduled for the warmer summer months, this breathable fabric will be perfect. Organza also is fabulous for sleeves and overlays. 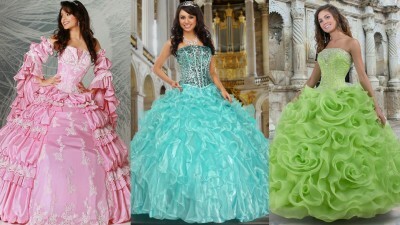 Although silk is the most expensive and sought-after fabric and is frequently used to make wedding gowns, you’ll also find silk designs for Quinceanera dresses. Silk is noted for its elasticity, strength, and resilience, and a Mikado silk dress is wonderful for the cooler winter months. 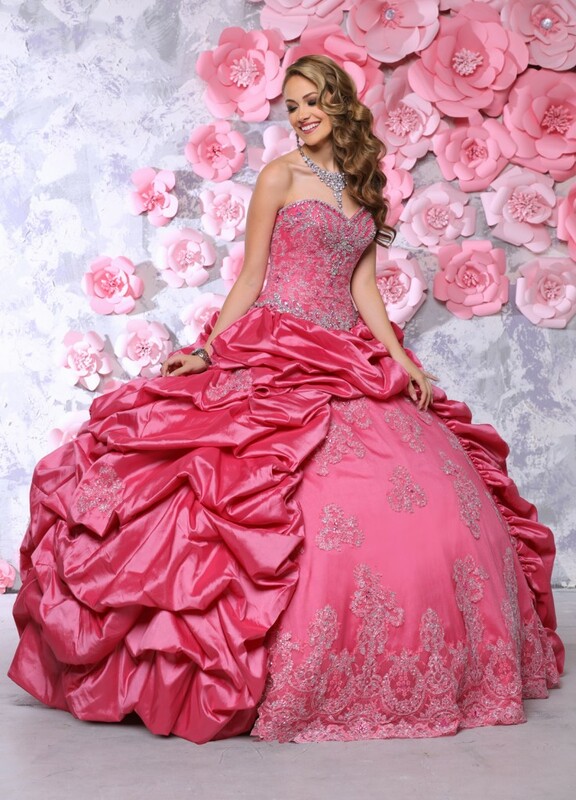 This fabric looks amazing with embroidery or beadwork, so if you want a Quinceanera gown with elaborate and intricate details, silk is a perfect choice. 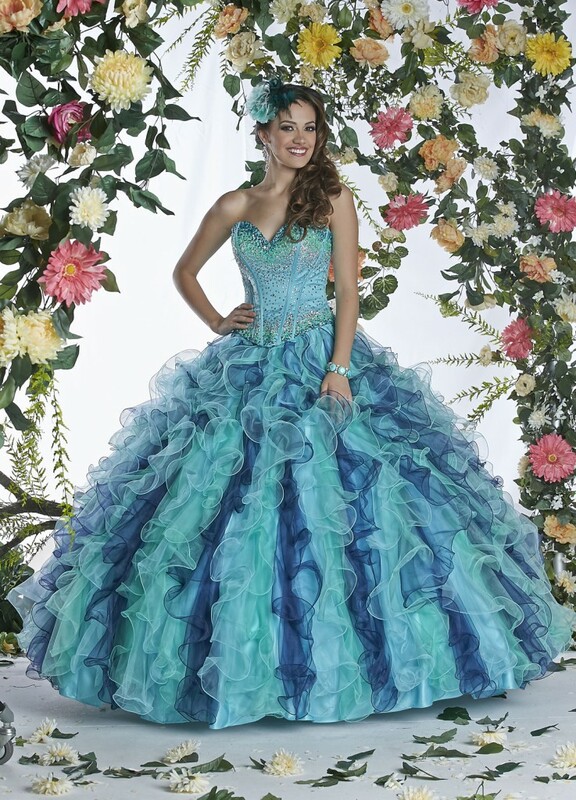 A lot of Quinceaneras love satin because it really gives them that “princess” feel. 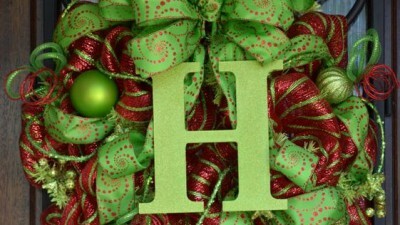 Satin is very popular because, even though it looks like a fairytale, it’s durable! 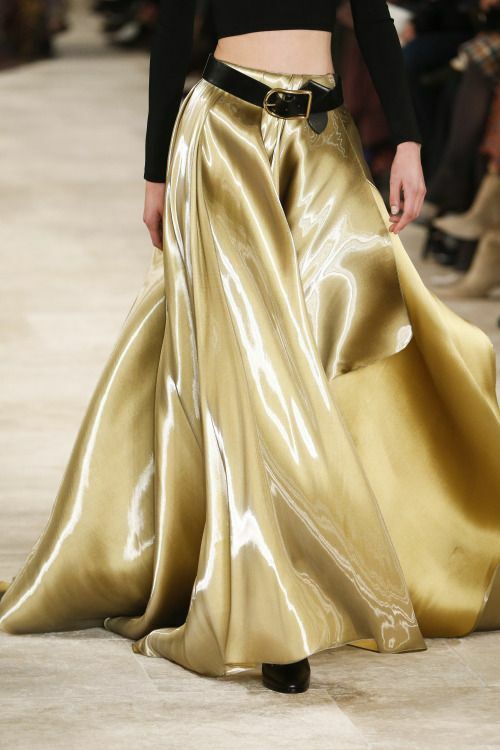 Duchess satin is a heavy-weight fabric used in structured gowns while crepe satin is more lightweight. 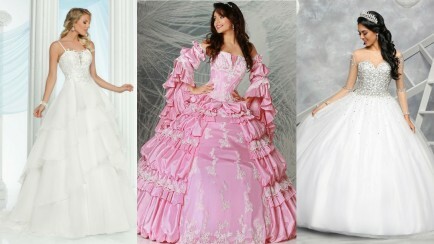 You’ll find Quinceanera dresses in both types, so you just need to choose according to the weather. 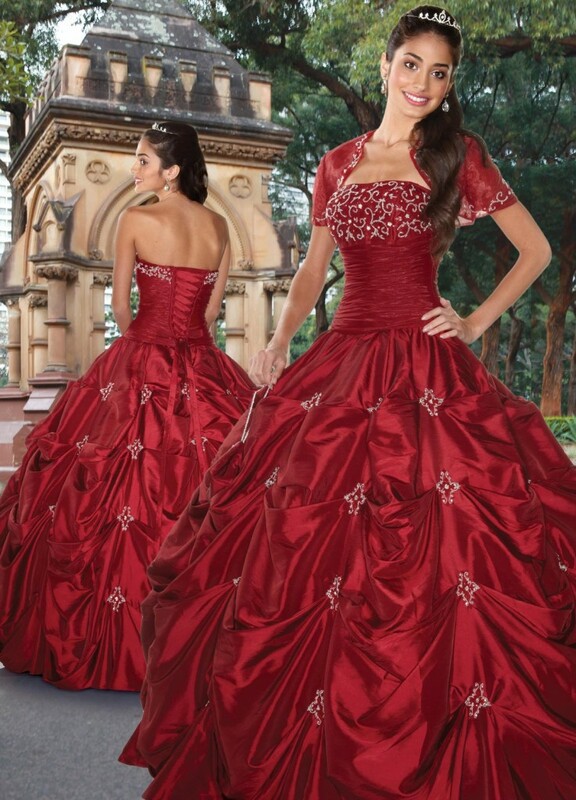 Taffeta is made from woven silk, nylon, and other synthetic fibers. 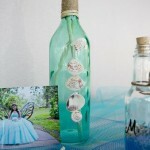 It’s crisp and smooth which makes it perfect for ball gowns with wide, full skirts. 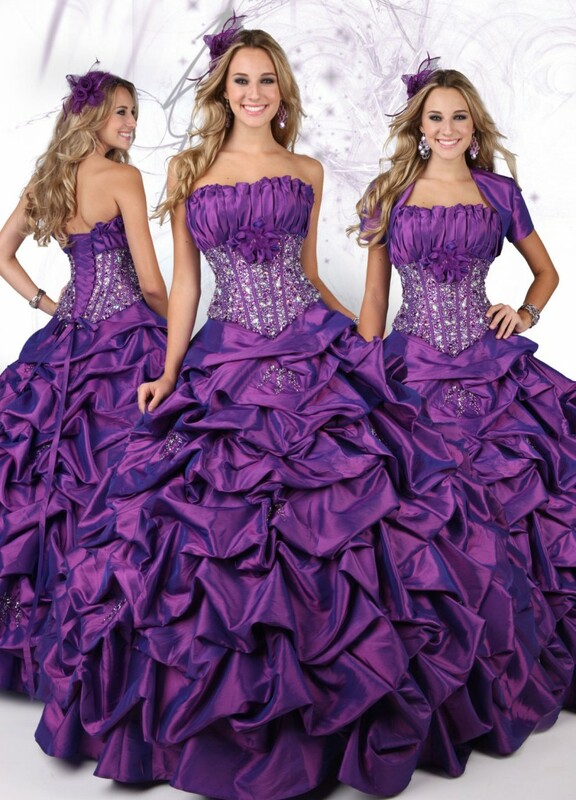 Taffeta is that dress fabric you’ve seen that often appears iridescent or two-tone due to the weaving process. 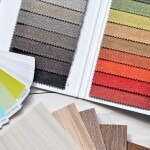 It’s also less expensive than silk and more durable even though it’s unquestionably elegant. 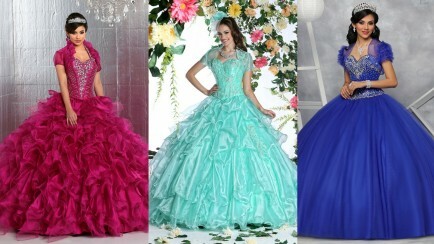 Taffeta works for Quinceanera gowns for both summer and winter months. Shantung is very similar to raw silk but much cheaper. It comes in many different colors and is very popular because it’s wrinkle resistant so you can sit as much as you wish without worrying about wrinkles. Because of its texture, shantung is best for A-line dresses ball gowns. Chiffon is soft and thick with a crinkled texture. Delicate and sheer, it’s made from either silk or rayon, and is a less expensive but more luxurious option than other cost-effective fabrics. If you want a lovely, delicate shawl to wear over your shoulders for modesty during your Quinceanera Mass, chiffon is a great option. 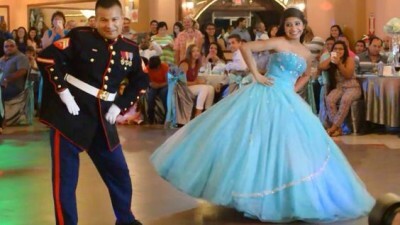 You can even have a Quinceanera dress with a Train! And of course that are even more choices for you to mix and match to make the perfect Quinceanera dress or you. 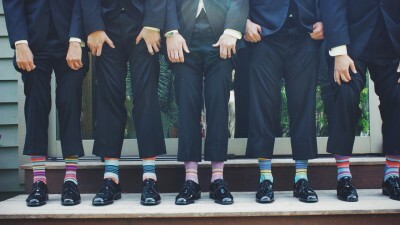 When it comes to color, though, you’ll need to use a little caution, so you don’t look like a crayon box on your big day! 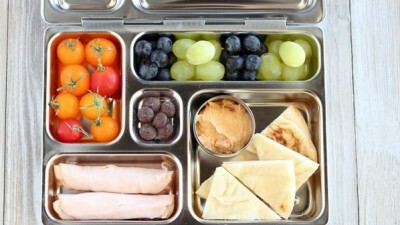 Great Option: Mix & Match! 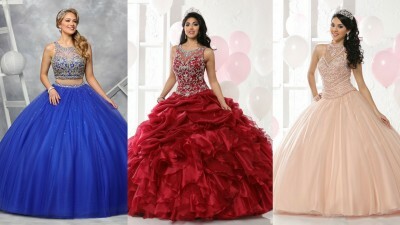 Check out this link http://www.qbydavinci.com/mixandmatch/ to help you decide what combination or bodice and skirt you like best. 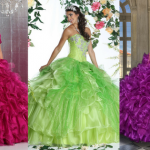 As you’re picking and choosing among all the lovely skirt and bodice options out there, and also finding colors you like, make sure that the designs you’re considering are appropriate for your Quinceanera theme and the season. If your birthday falls during the winter months, think either deep jewel tone shades or cool wintery colors like ice blue. 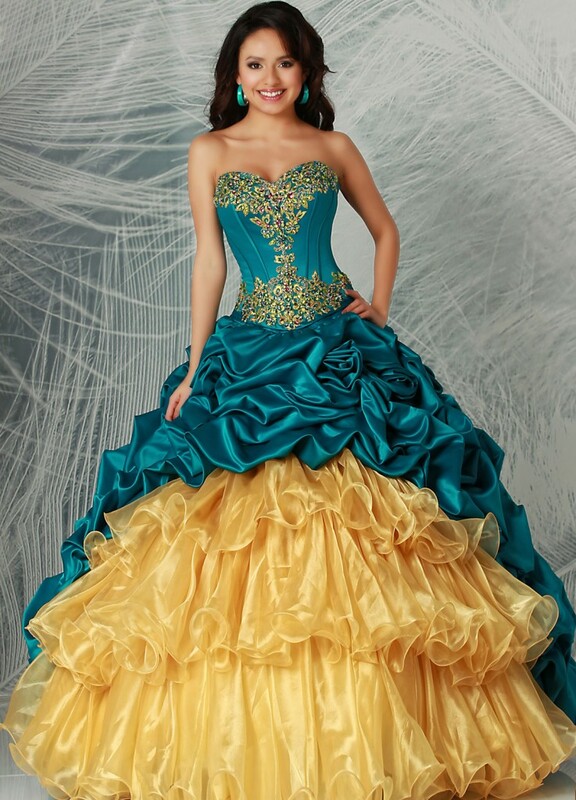 If yours is a spring or summer Quinceanera, you can choose bright and light shades of yellow, orange, and pretty much any green you like. Beads and sequins are beautiful add-ons, but make sure the look is balanced. Remember: Your skirt is a little more delicate than the bodice, so go all out with beads and embellishments on top, but make sure the skirt fabric and style will hold up to all that dancing!